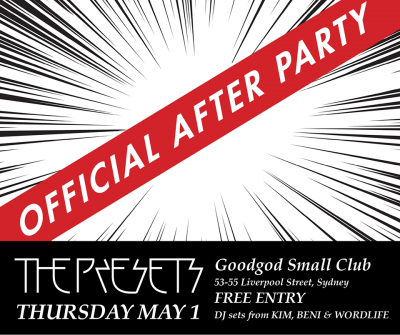 Kick on til late this Thursday, as The Presets take over our Front Bar following their sold-out Metro show for the official afterparty! DJ sets from KIM, Beni and Wordlife await. Free entry, vibes until late!